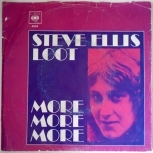 Steve Ellis - Loot / More More More -- From the film "Loot"
This was Ellis first project after leaving the Love Affair at the height of their success towards the end of 1969 and prior to a solo career with CBS in the early 1970's. 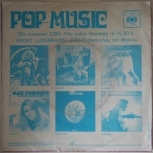 The music was written by Keith Mansfield, well known amongst today's club goers for his other film scores and library music. 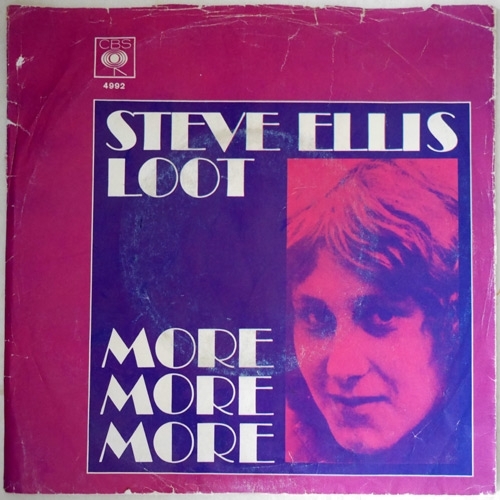 The combination of Mansfield's writing /arrangements and Ellis performance produces a groovy blend of funky rock, plenty of Hammond and stomping beats. 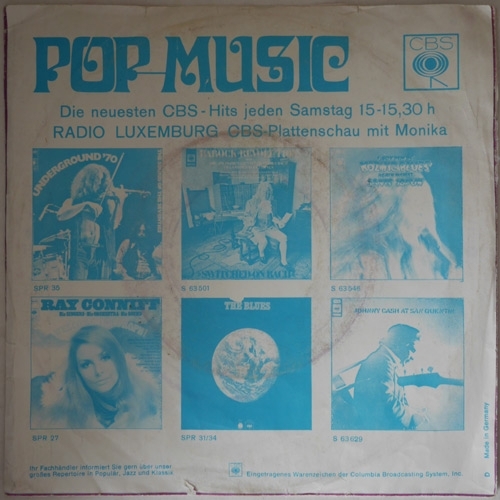 Please check out audio samples! 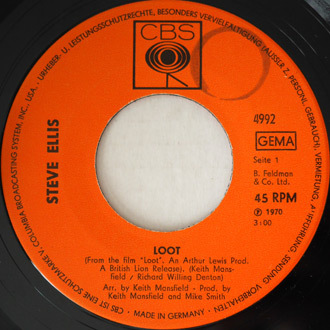 Copyright © 2011 Beatedelic Records. All Rights reserved.